Hello everyone! The first of February came way too fast and the only upside to this is that it means I can reveal the new layouts featuring the latest kits from Gossamer Blue! 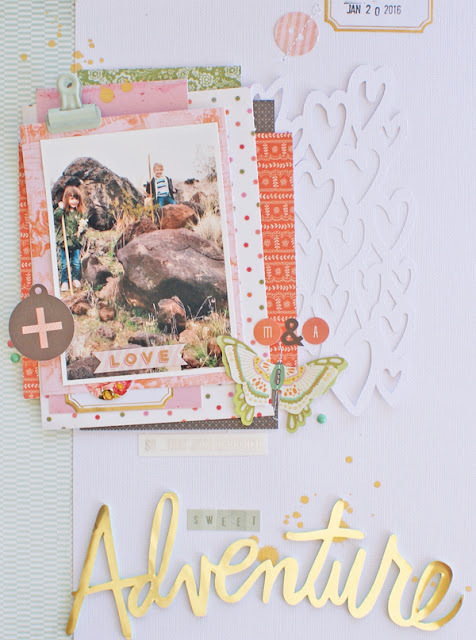 This month, the February Kits are full of beautiful papers and embellishments from Basic Grey, Fancy Pants, and Heidi Swapp that had me scrapping a variety of stories, including our most recent snow and a desert hike. 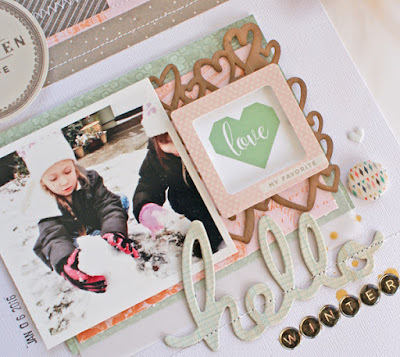 This project feautures the Main Scrapbook Kit as well as Add-On Kit #2. The woodgrain hearts is so pretty in person--I really like the darker finish. For my second project, I dived into the 6x6 Dear Heart Paper Pad from Basic Grey (from the Bits and Pieces Add-On) and built my layers with it. Make sure and stop by the Gossamer Blue Gallery--I am lucky and get to peek at the projects early and I am always impressed by what the girls create! Looking forward to sharing the rest of my projects with you real soon!